OrigamiUSA members will have the opportunity to participate in Convention 2018, even if they can't attend: Remote Classes! Using an online virtual class technology, you will be able to join selected classes remotely via the internet, with the option to ask questions of the instructor and interact with the other class attendees, as in on-site classes. You can view the class in real time and will also be able to view it after the event. After you sign up, you will be sent a link for the live event. After the convention, you be sent the link for the recording. Remote classes have a $10 fee for each class and are available only to members of OrigamiUSA. Online registration for Remote Classes is closed. 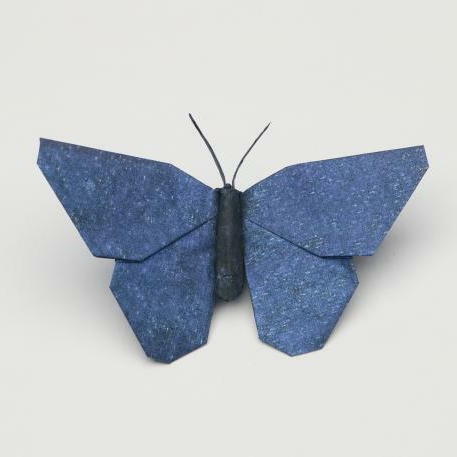 This is a graceful butterfly with antennae from a single uncut 10-inch square. 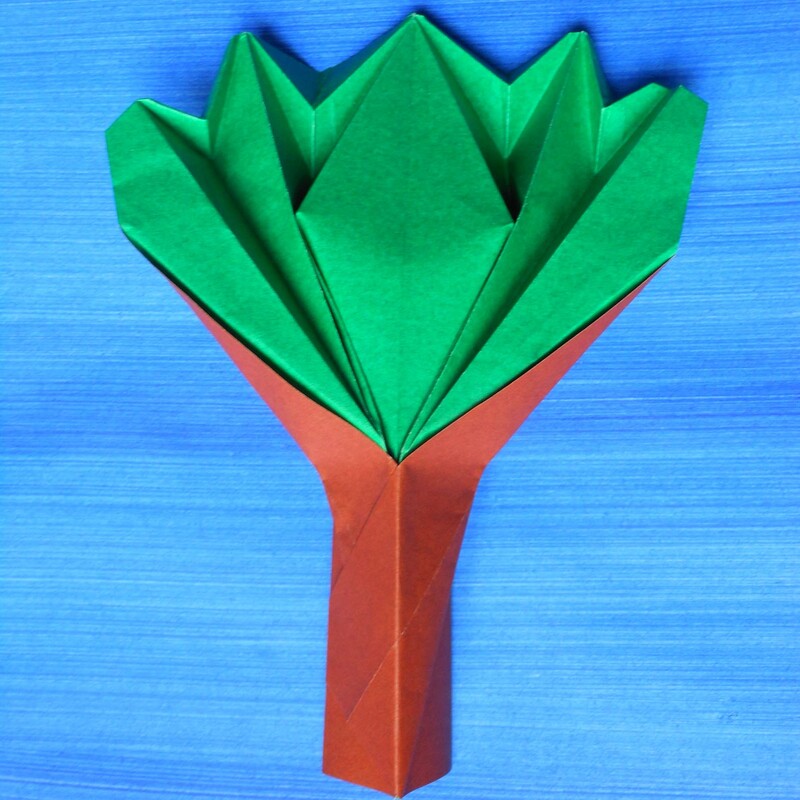 A stylized tree made from one square of duo paper. 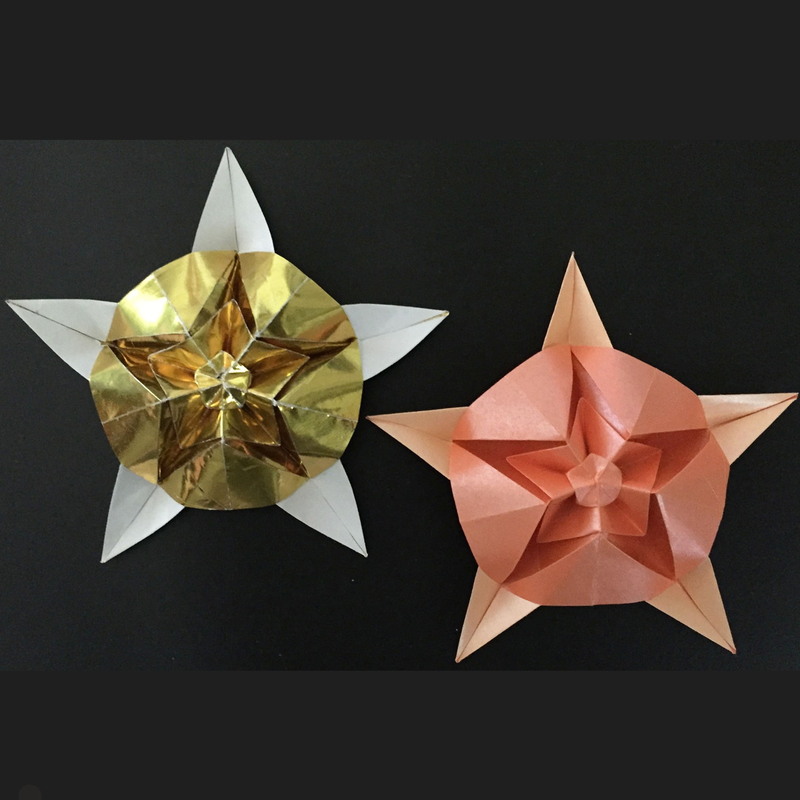 This clever 8 piece star is folded from strips of paper. 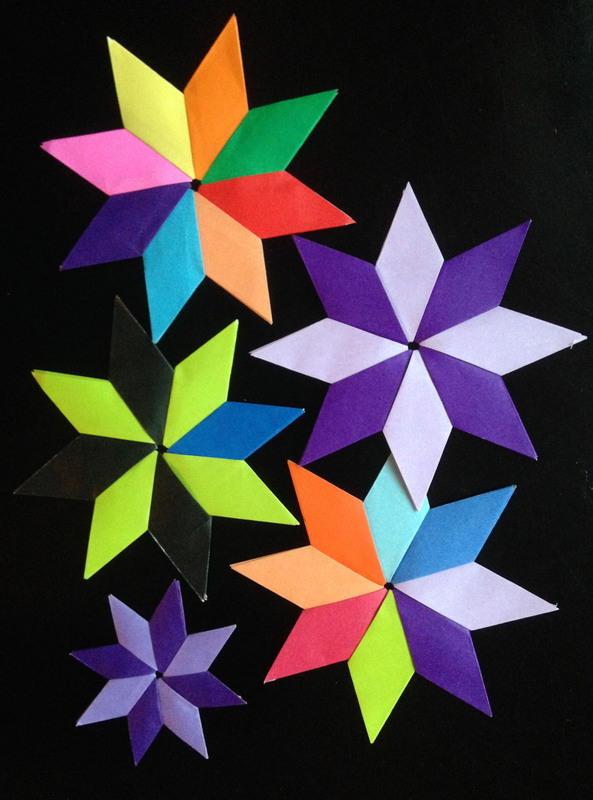 Two sheets of kami are sufficient to make a very nice star. Though the star looks simple and elegant, there are some intricate folds. They are not super difficult, but patience is required to understand the process and fold accurately. At least three methods for obtaining the correct length strips will be taught and diagrams will be shared with class participants. Relatively thin paper is recommended. Kami is perfect. Duo is not appropriate for this model. Feel free to use as few as 1 color or as many as 8 colors. Minimum paper requirements: 2 sheets of 15 cm kami. Smaller paper is not recommended. A slicer or scissors is needed. This model can be folded by anyone who can be patient and accurate. This has been called a complex model, but anyone who can accordion pleat can fold it. Six-inch paper cut into a pentagon will give you a finished model of about 4 inches. The result is a beautiful pentagram with a circular center. We will learn how to fold a pentagon from a square. Bring scissors to cut the pentagon from a square. What Can You Do with a Paper Canoe? From this simple traditional base, I've created more than 30 models. They include boxes, frames, candy dishes, action models, a mask, a modular crown, and a magnificent flapping bird. We'll make as many as time will allow! 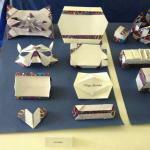 Ideal for origami teachers dealing with novice folders. Here is a quote from Leyla Torres: I’d like to make a special mention of the class I took with Laura Kruskal. Laura taught a traditional paper canoe and several charming and simple models based on that canoe. It cannot be overstated what an inspirational gift Laura is to the origami community (from comments on 2013 Albuquerque PCOC convention, http://www.origamispirit.com/2013/11/a-magical-origami-convention- pcoc-2013-albuquerque-nm/). We will learn two versions of this model: the crane and the spiral. 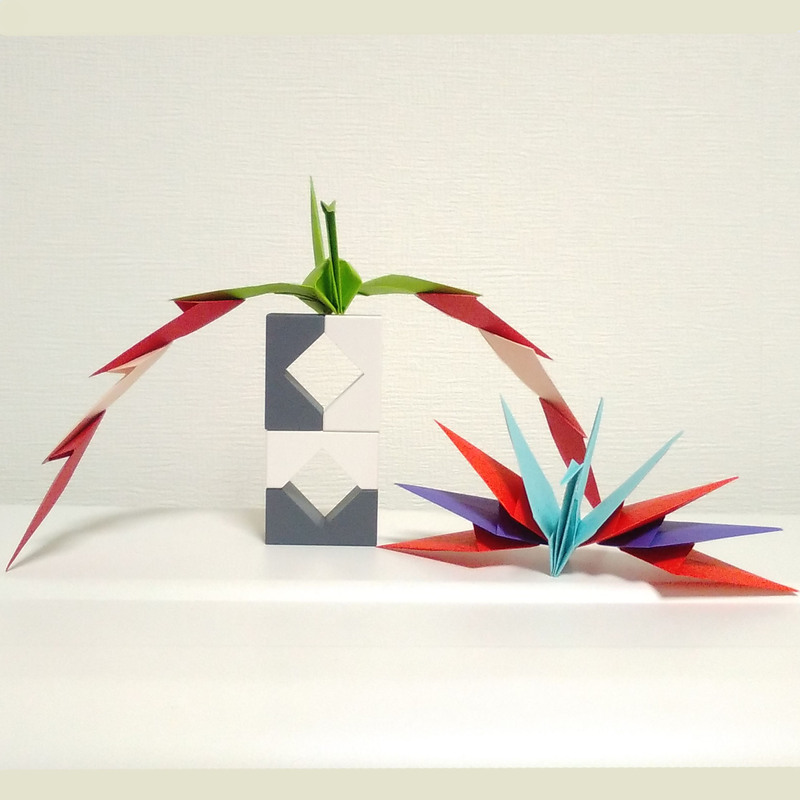 The crane version, a variation of Tomoko Fuse’s design, will have an attachment to the wings of the traditional origami crane, making them longer. It is an action model that also works well as a decorative piece. The spiral is composed of multiple parts that can be connected to each other, creating a long, climbing plant-like result. Standard 15 cm paper will be used. 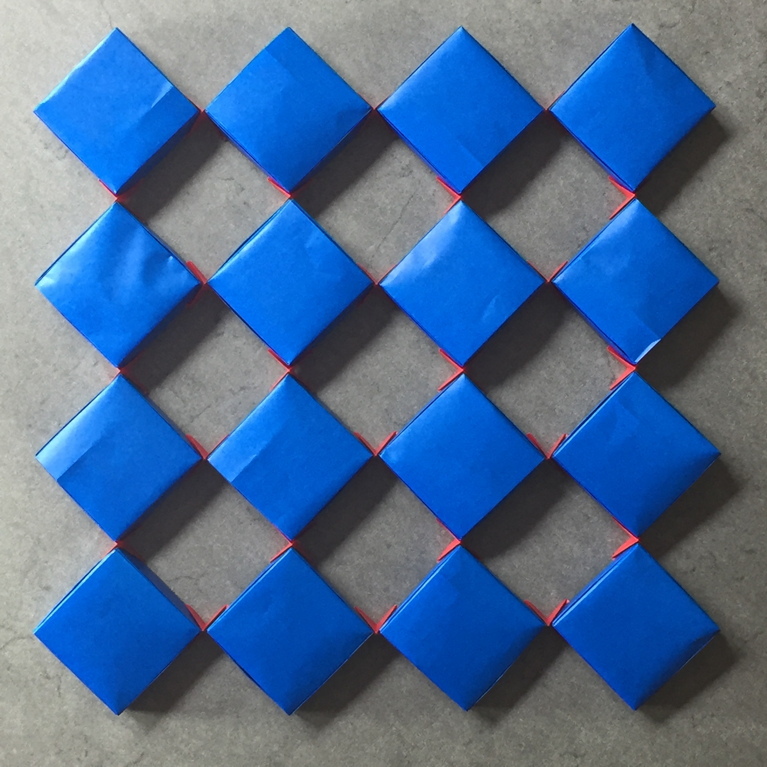 This is a tessellation in the sense of a tessellated pavement rather than the more normal origami sense of a tessellation. This is in fact an action model. Rotating one square will automatically rotate all of the others. In folding terms the folding sequence is straightforward and does not have anything other than basic valley and mountain folds. The model can be made from any "square" number of units - 4, 9, 16, 25, …etc but for the sake of time we will aim for just 4 units in the class. We will start from squares of paper, but the modules and joining units are not folded directly from squares and therefore attendees will need to have some means of cutting paper.